Some of these staging mistakes may not even register on your radar as being something negative, something to avoid. The reality is that even something that seems comparatively small can prove to be a fatal staging error when it comes to placing your residence in the most appealing light for a prospective buyer. 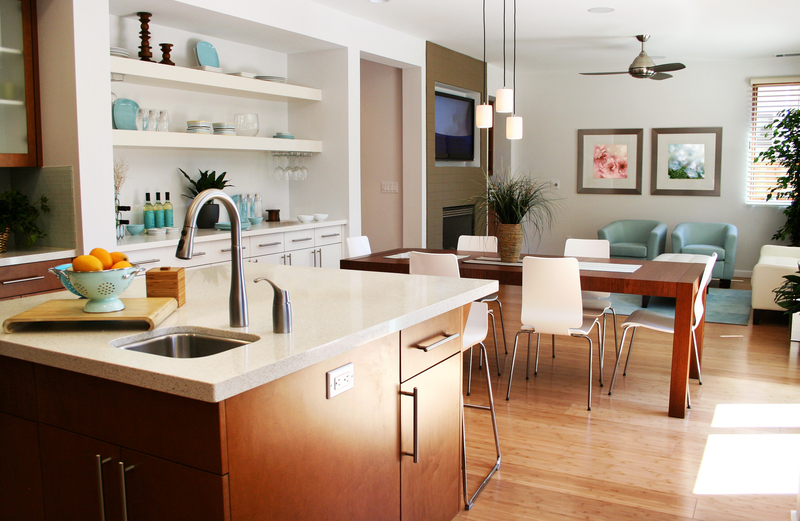 There are six staging mistakes that you will you want to avoid. You may be in practice of closing certain interior doors in your residence. Closing doors inside a residence is a common practice for many homeowners. For example, even when not in use, many homeowners automatically close bedroom and bathroom doors. Closed doors interrupts flow and the concentration of a potential buyer who is touring a residence on the market. Ideally, the home needs to be staged in such a way that nothing impedes a steady walk-through of a residence. Closed doors also make the room feel smaller and if it's already a small room, then interrupting the flow is a big mistake that you can make. You want to try maximize your areas, even the small ones. A more seriously negative impact of closed doors is it might prevent a full showing of a residence. For example, if a closed door might be interpreted as a closet and not opened by a prospective buyer visiting the residence for the first time If that happens, a room or section of a residence is missed all together. The best course to take is to do your own walk-through of your home before a showing or open house. Doing so will ensure that everything is up to speed for a visitation and that all doors appropriately are open. Another staging mistake to bear in mind is overdoing the presentation. The ultimate goal of staging is to present a residence on the market for sale in an attractive manner and also in way that allows a potential buyer the ability to envision a residence as it would look if he or she owned the property. If you go overboard when it comes to the staging process, you will detract from the residence. You will make it considerably harder for a prospective buyer to envision the residence on his or her own terms. Avoiding overdoing staging necessarily includes making sure the furniture in a space contributes and doesn't overwhelm or detract from it. In more than a few cases of preparing a house for sale, a staging expert will recommend placing some alternative furniture in a residence while it is on the market for sale. One of the biggest mistakes made in the show homes of new residential developments is the use of what fairly can be called "fake stuff." At times this goes so far as the placement of fake televisions and personal computers, let alone fake fruit and plants. The use of fake stuff extends at time to individual homeowners who stage their residences for the market. When staging your own home for sale, you absolutely must avoid using fake items along the lines of those that were mentioned a moment ago. The inclusion of fake stuff simply sends the wrong messages to a potential buyer. The includes the unhelpful message that the homeowner takes shortcuts and make have done so when it came to home maintenance and upkeep. When staging a home for sale, another mistake to avoid is not paying attention to the scale of a particular room. You absolutely must stage a room to scale. Examples of failing to stage to scale is a homeowner addressing a smaller space. That homeowner might conclude that placing smaller items into the space will make it seem larger. In reality, that can have the opposite effect. In addition, there can be unintended consequences to not staging to scale. In the end, the items selected for a space need to harmonize in scale with that room or area. There is nothing wrong with having a common design concept that extends throughout a residence. Indeed, oftentimes that is the preferable way to decorate a home. With that said, the term "variations on a theme" is important when it comes to applying an interior design concept. This particularly is true when it comes to staging a residence as part of preparing to place a property on the market. When staging your home, you will want to make sure that the focus of an interior design concept is one harmony and compatibility and not utter uniformity. Time and again as you prepare your home for sale you will hear people harping about using neutral colors. Indeed, the proper use of neutral colors allows a prospective buyer a better ability to picture a resident decorated with his or her items. Noting the benefits of the thoughtful use of neutral colors, you will want to add splashes of color here and there throughout your home. Doing so will ensure that a prospective buyer will better remember your home, particularly when he or she is visiting multiple houses on a given day. In conclusion, by avoiding these mistakes, you will have more effective staging. You truly will enhance the saleability of your residence.